5. I think that this topic is really interesting because it’s caused such a craze the last few years, and its really cool that its so close to the hearts of WSU students and alumni. I’ve only ever known a few things about him but its awesome knowing the background of such an inspirational guy. Hey, Kevin! I think your mind and my mind might be thinking alike on some kind of realm. You and I not only have the same WordPress theme, but we actually chose the same topic! My original presentation was on Steve Gleason before I changed it to CrossFit. But I am so glad someone decided to present on him. 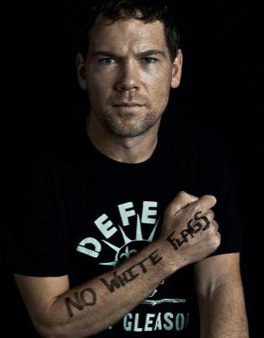 Steve Gleason is an incredible man and human being. Gleason is someone that makes me proud to say I’m a Coug. His story is amazing and I think you told it well in your blog. You gave us a lot of background info that I think not many people are aware of. He really does have so much to his life between ALS and his time as a Coug. Thanks for picking Steve Gleason and great job, Kevin! Great topic in Steve Gleason. Home favorite here in Pullman, but I think you went in-depth with this topic, not only about his short NFL career, but the ALS as well. You gave good facts about ALS and examples, such as Stephen Hawkins. Some people do not know what he did in the NFL, so it is nice that you provided the block punt that he did. Good Job. I think this an interesting story. He has a great story. I agree with you in how he did not let ALS stop him. In my opinion, he actually uses his ALS disease as his platform to advocate awareness for ALS and other causes he supports. Inspirational person for sure. Such an amazing man deserves our support for what he has done for others and for being a fighter. I am pleased that you did not just focus on his sports or the disease but him as a person because that’s what a persons legacy should be. I really enjoyed your presentation on a Cougar legend and inspiration in Steve Gleason. 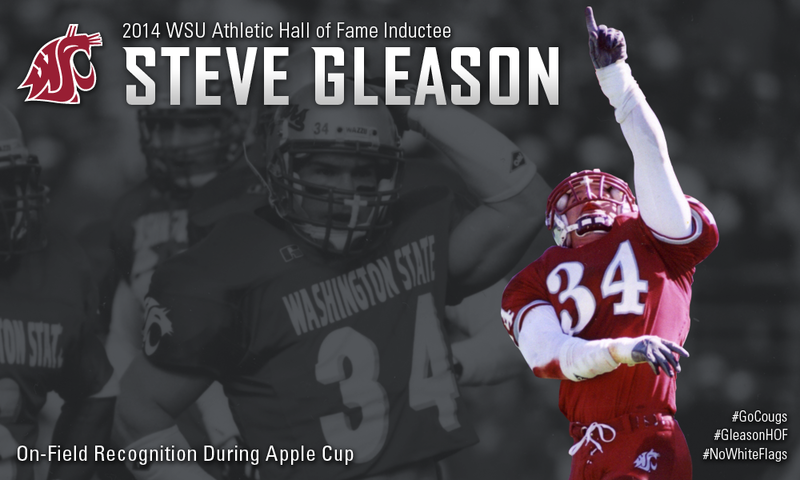 I love and respect the way that WSU has really embraced Gleason and his family. Even though he never really amounted to much as a football player in the NFL, it’s cool to see the league come to surround and support him and his fight to end ALS. His support for other ALS patients, partnered with the Ice Bucket Challenge, will hopefully bring an end to this debilitating and horrible disease. It’s also cool to see the Saints backing him, giving him a ring from their Super Bowl win. Sometimes, the people in sports show up in huge ways, and Steve Gleason is an inspiration to us all. Go Cougs! You had a great video in your presentation showing Gleason scoring a touchdown while playing with the Saints. I thought it was important how you talked about not only his football career, but the disease he has. You provided good facts about ALS and how doctors still aren’t sure how it is caused, etc. My favorite part of your presentation was how you talked about Gleason wanting to help people even though he has this disease, and that he would not let the disease hurt him. The video you showed at the end of your presentation was very powerful and gave more insight about his disease and his life. Great presentation! I really enjoyed your presentation. I like that you talked about him for what he did on the field and for what he is doing to help other people with ALS. I also liked that you included videos of each of those topics as well. This is a great topic. I like that you picked an athlete with strong connections to WSU, but wasn’t above and beyond normal human standards. I also like that you focused on all he’s done since being diagnosed with ALS. I enjoyed that you picked a topic that sits closely with us all. I’ve heard a lot about Steve Gleason in terms of ALS. I have a lot of respect for anyone that can make the most out of life-altering situations, and Gleason has certainly done so. It was also great to learn more about his contributions to the NFL and vice versa. Steve Gleason is by far one of my favorite Cougs of all time. He was such a great athlete, and he’s proving to be an even better person. He and his foundation do so much to just attempt to help. I love the iconic statue in New Orleans of the block. People never realized that a special teams play could mean so much, and yet it was part of the reason the Saints started to be a threat in the NFC. He has a great Cougar legacy and a great NFL legacy, even if it’s just the one play, that play lives on. Great work on this Kevin. What a great and informative topic for your presentation. You’ve got some good responses from your classmates. See you in 465!